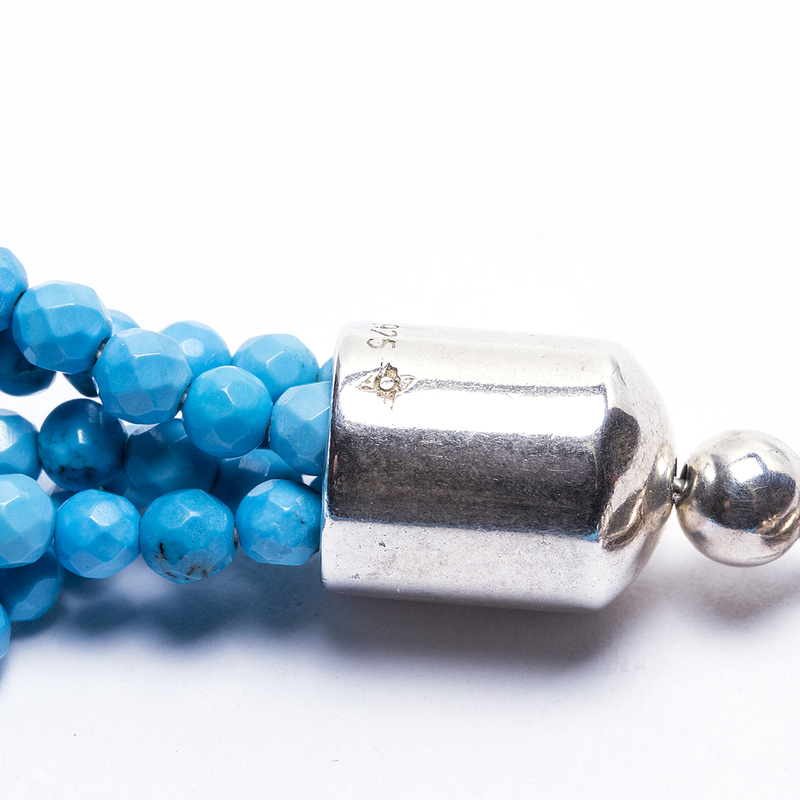 Do you find yourself looking for the perfect turquoise necklace for your contemporary outfits? Look no further! 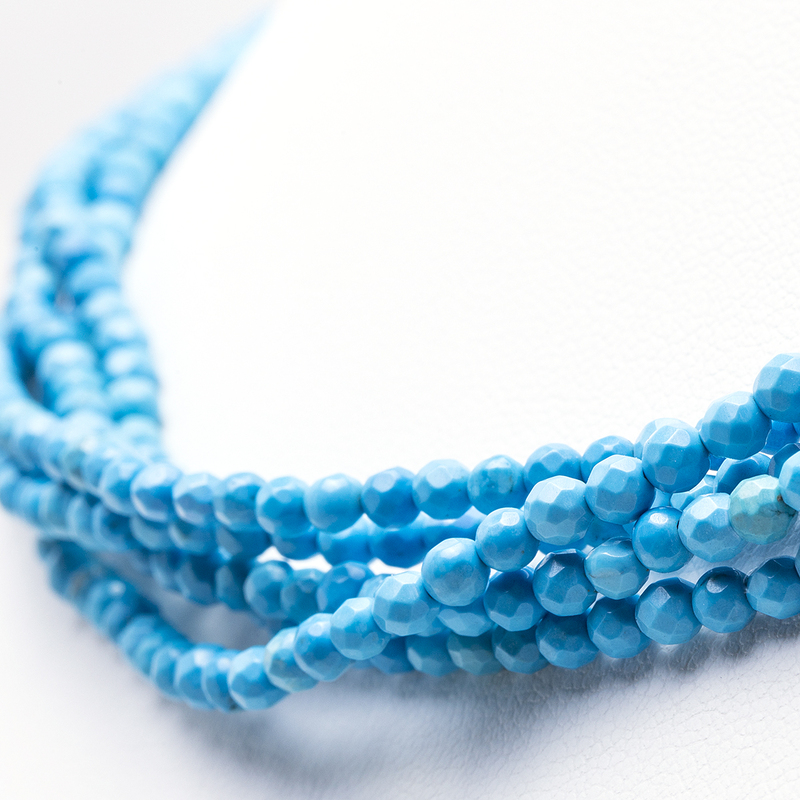 This necklace features five strands of delicately faceted turquoise stones creating a stunning and unique look in Native American jewelry. 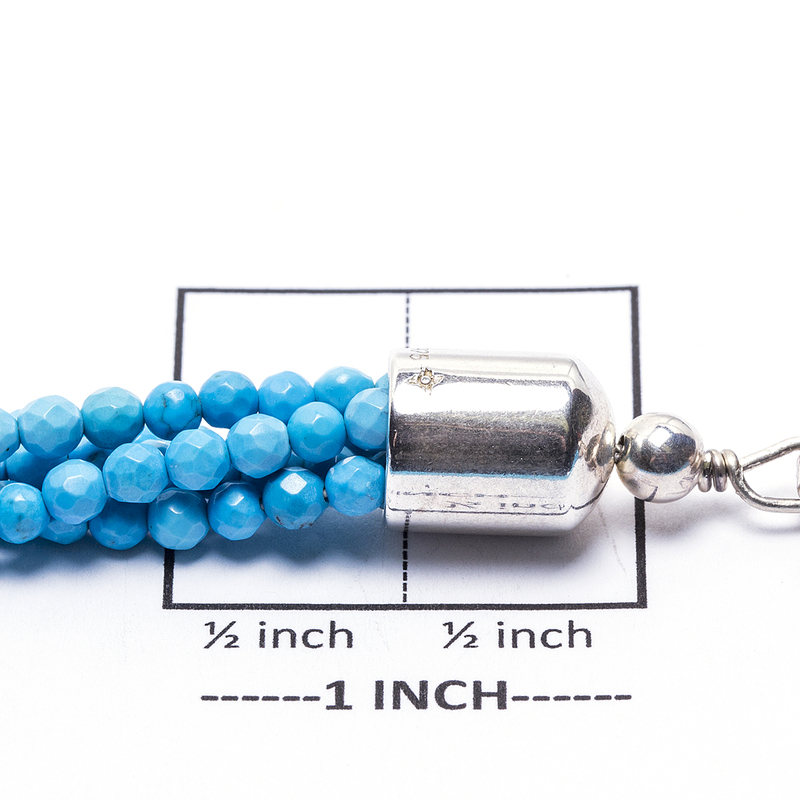 The strands can be worn straight or gently twisted for an additional style option. The Sterling end cones are marked “.925”, and the necklace is finished with a large Sterling Silver lobster claw clasp. Navajo Faceted Turquoise Petite Bead Necklace handcrafted by a Navajo artist shows a unique style of Native American jewelry. 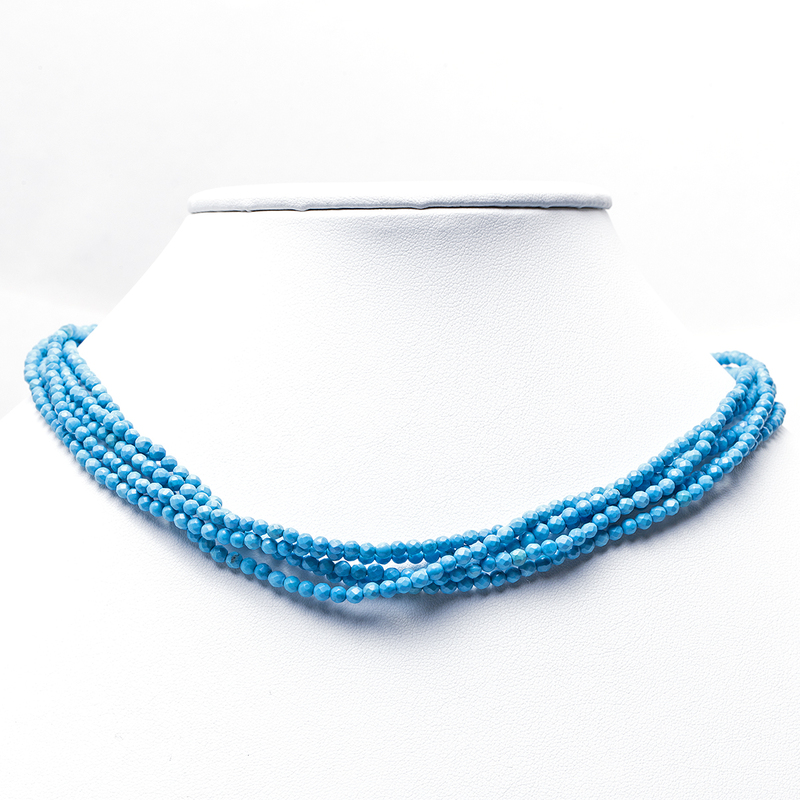 Wear this necklace for a shimmering shot of color.